Piers is the Managing Partner of Meadows Ryan. He trained and worked with Mayer, Brown Rowe & Maw (now Mayer Brown) prior to joining Meadows Fraser in 2003. Piers’ practice extends to both property and company/commercial matters and acts for property investors with large portfolios and assists with legal issues arising from the management of portfolios, including acquisitions and disposals of freehold properties, leases and managing disputes. With broad experience in both commercial and residential property, Piers is also instructed by property finders and relocation agents to assist with property acquisitions by international buyers, with a particular expertise on dealing with the sale, purchase and refinancing of hotels. 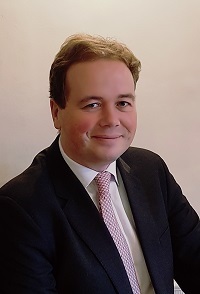 Piers’ commercial practice includes advising on mergers and acquisitions, joint ventures, shareholder agreements and drafting trade agreements. Piers is also a Notary Public. Piers enjoys all ball games, running and travel.